This is a such a useful multipurpose palette! 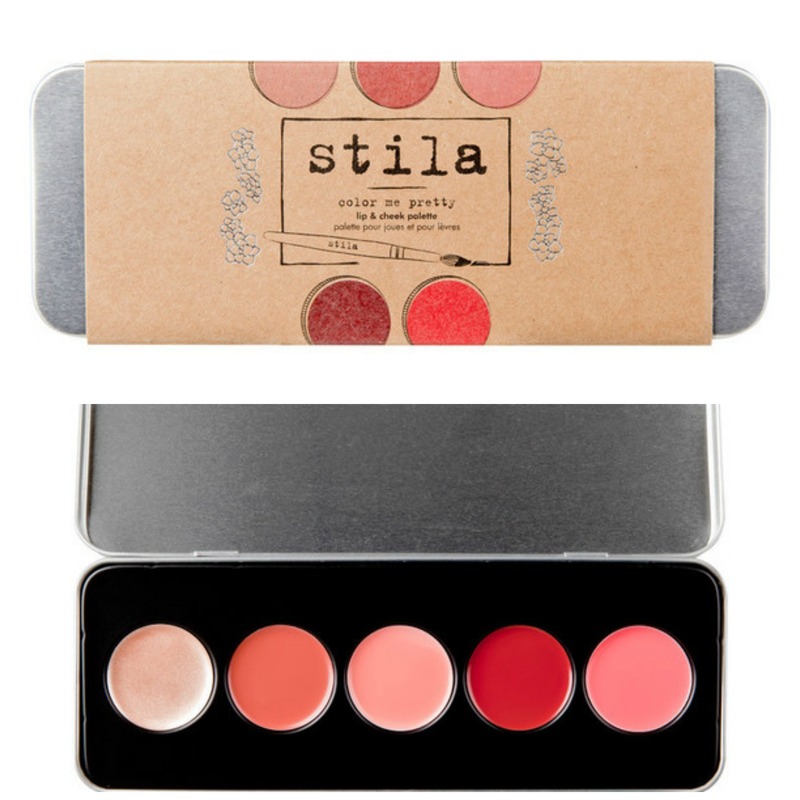 It contains 5 of Stila’s fabulous Convertible Colours which can be used as a cream blush as well as a lipstick. 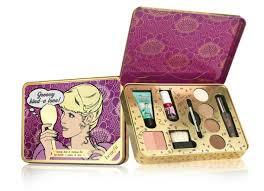 This palette includes the well known & loved Kitten which makes an amazing highlighter. I love the fact that these can be used on the lips and cheeks and for that reason it’s a very versatile palette that you’ll get a lot of use out of and it’s so compact you can carry it with you for touch ups. This gorgeous set comes with 5 lipglosses in flattering colours that will suit any makeup look. I love Smashbox lipglosses, they last really well so you can’t go wrong with this set. 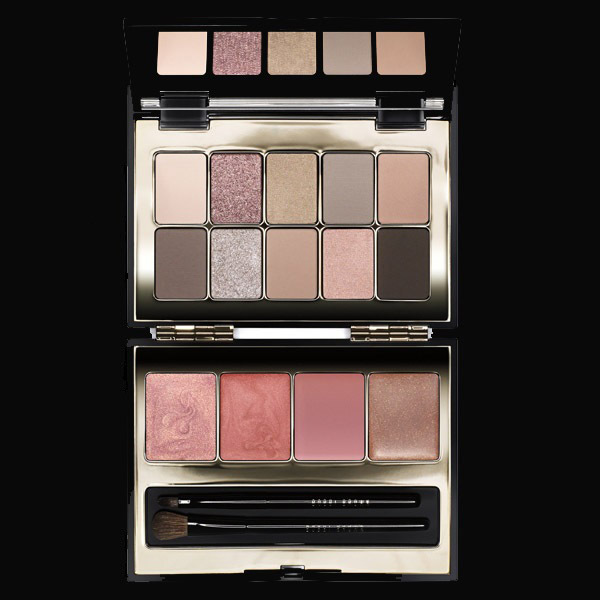 This ingenious little palette has a Bare Minerals Foundation Powder, Mineral Veil, Bronzer, Highlighter and Concealer as well as a little double ended brush to apply all. It comes in a little zip up compact case that you can easily carry round with you. Perfect for keeping at your desk at work to top up during the day or do a few little adjustments if you’re going out. If you’ve never tried Bare Minerals this is a great little starter kit. The brush in this set is really good quality too. 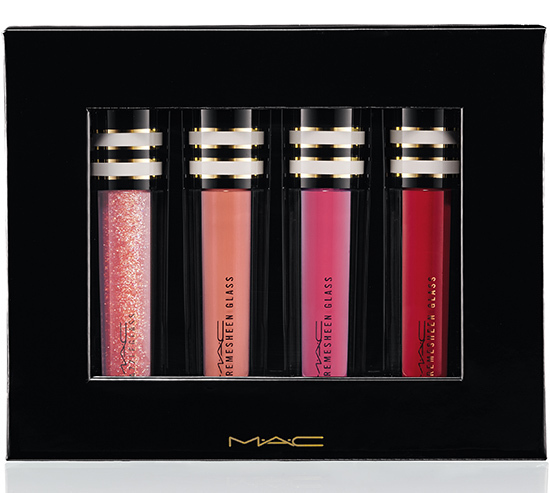 MAC Nocturnal Holiday Sets – from €35 Brown Thomas, Grafton St. & Dundrum & MAC Henry St. These are so gorgeous! 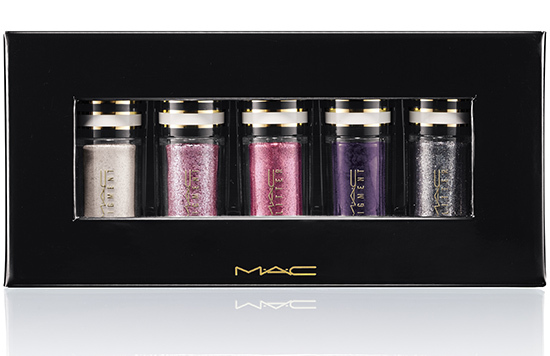 They are on my wishlist every single year and as a makeup artist I always try to stock up as these are great to have in your kit for Christmas looks and they often have colours that are limited edition and not available normally. 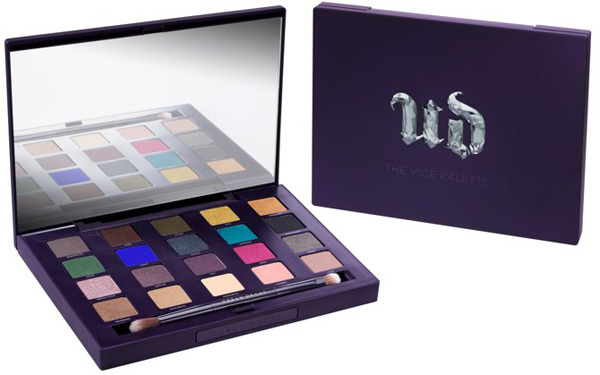 You just can’t go wrong with these, there are also eyeshadow palettes and brush sets as well as mixed makeup sets so something for everyone, novice or pro. The above are my faves. Be quick though, as these sell out fast! This fab little set contains some of Benefits best selling makeup including The Pore-fessional Primer, Benetint, “They’re Real” Mascara as well as 4 eyeshadows and a blush/highlighter so everything you need to look amazing basically! They have loads of little sets to choose from and they are all equally as gorgeous. 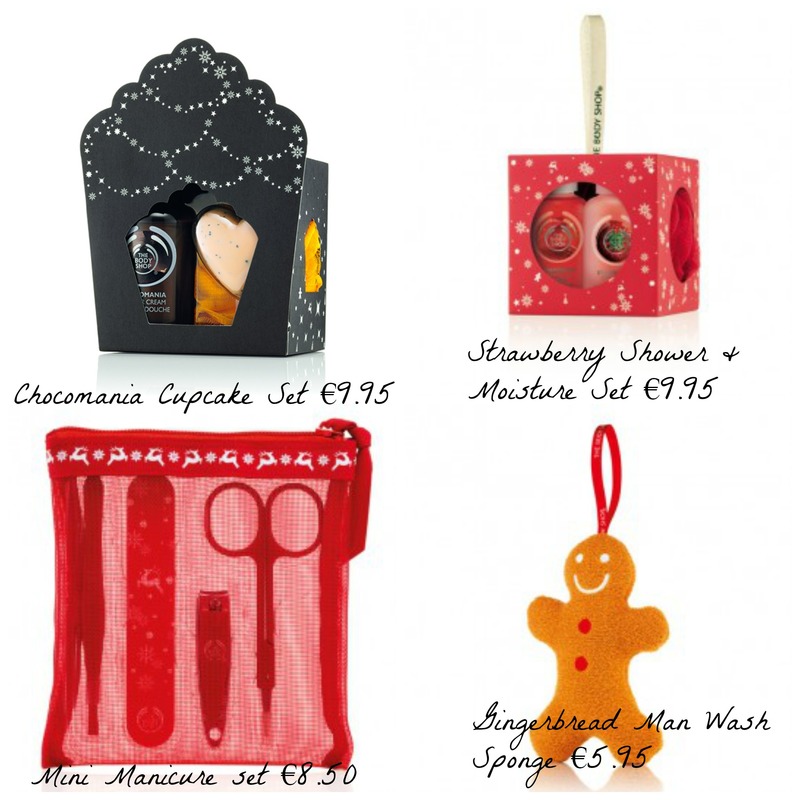 Give Joy with The Body Shop’s Christmas Gift Collection! 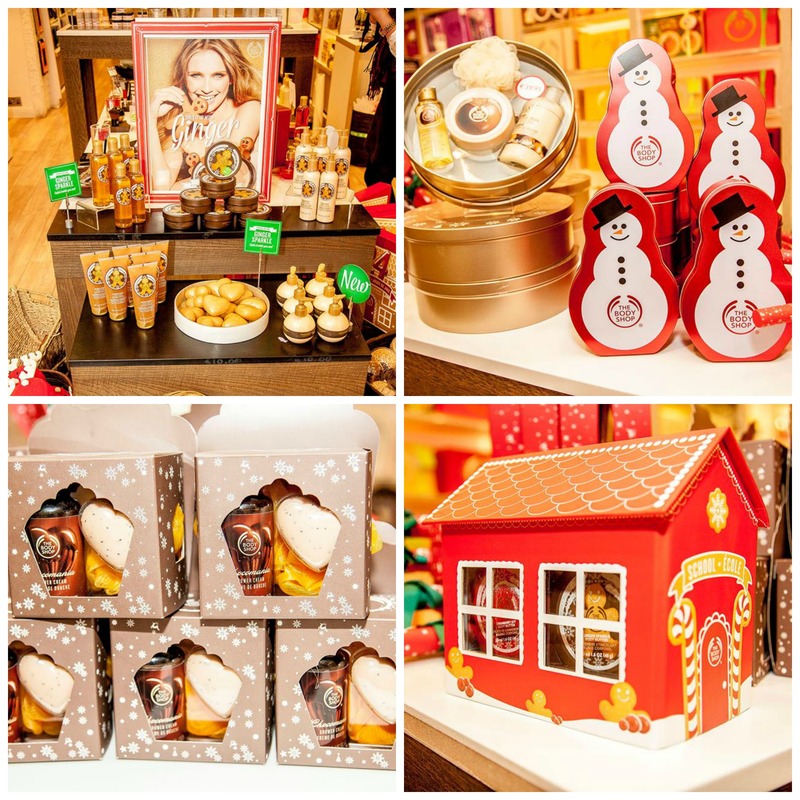 Last Wednesday night, I was invited to a bloggers event at The Body Shop on Grafton Street to reveal their fabulous Christmas Gifts. They really have something for everyone and every budget this year and the sets are absolutely gorgeous. There isn’t anyone I know who wouldn’t be happy to find these goodies under the tree on Christmas morning that’s for sure! Just who could resist these gorgeous little sets with Christmas themed fragrances such as Ginger, Cranberry and Vanilla? Not me that’s for sure, they’re just too cute! They range from body scrubs and body butters to shower gels and body puffs encased in the cutest little keepsake tins and boxes. I’m a big fan of The Body Shop Body Butters, (they have a whole range with every type from Chocolate to Shea Butter) and these sets come with the limited edition Christmas Body Butters. You don’t have to wait for Christmas morning to open these beauties, imagine the joy of having a nice shower using your deliciously smelling shower gel and then slathering yourself in the matching body butter on Christmas Eve to snuggle into your comfy new PJ’s and wait for Santa to come 🙂 I love the fact that you can smell Christmassy as well as feel it! You have to check out the range here. If you’re looking for a few little stocking fillers then look no further than these lovely little treats. They range from Chocolate body shower cream and soap to little mini manicure sets. Check out this bargain range of goodies here. At €99, this next goodie goes in the “Money no Object” category! 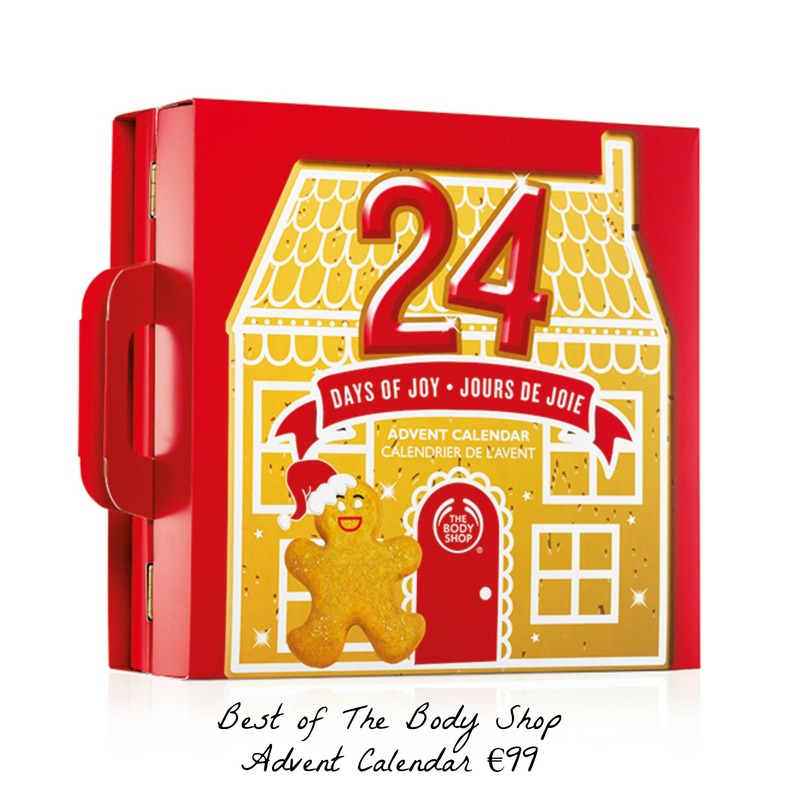 Following the latest trend for beauty brands to bring out their own Advent Calendars packed with lots of beauty goodies, The Body Shop has come out with this little beaut stuffed with 24 of their best selling products, check out what’s included here. Isn’t it amazing?! Try restraining yourself to one treat a day, I dare you! 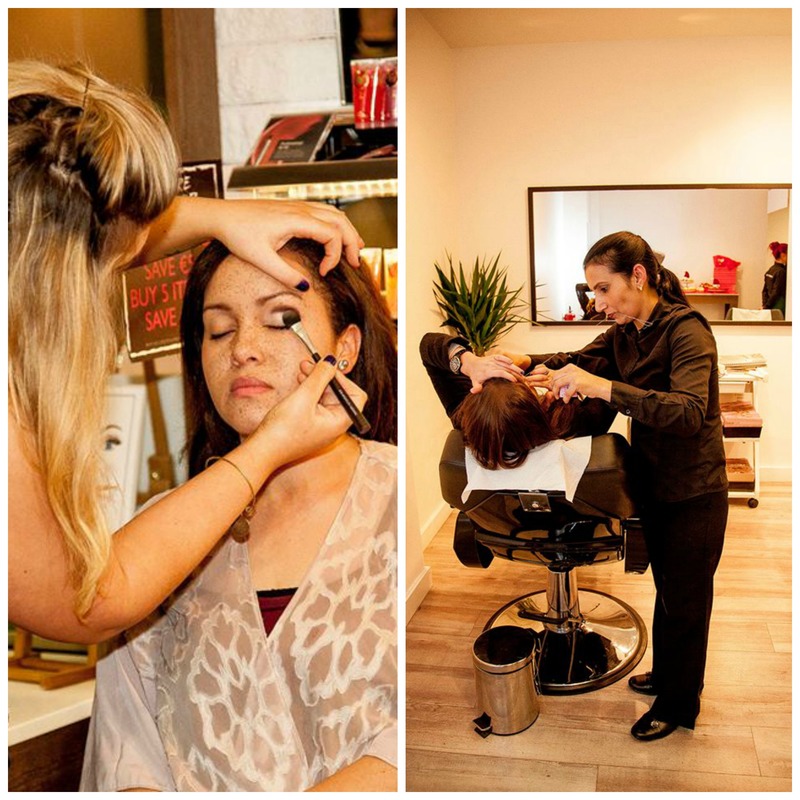 At the event, we were also treated to a makeup demo from their new improved makeup line, I will do a separate post on the makeup as it’s just amazing and I really want to give it a good test run 🙂 We were also treated to an eyebrow threading demo. Threading in The Body Shop costs just €12 so I’ll be back to have that done. 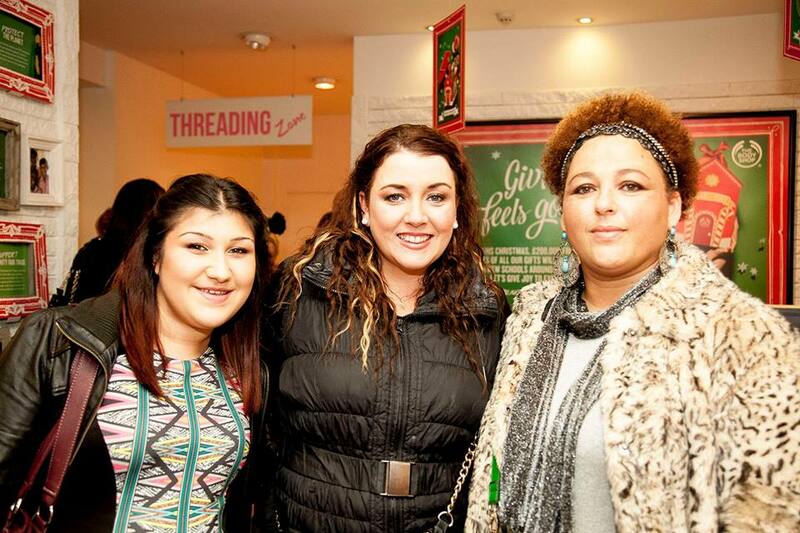 I also like the fact that the area where you have the threading is private in the Grafton Street store. I’ve seen the chairs out in full view of passers-by before in other stores and that is something that would put me off having it done if I’m honest. What do you think of this collection? 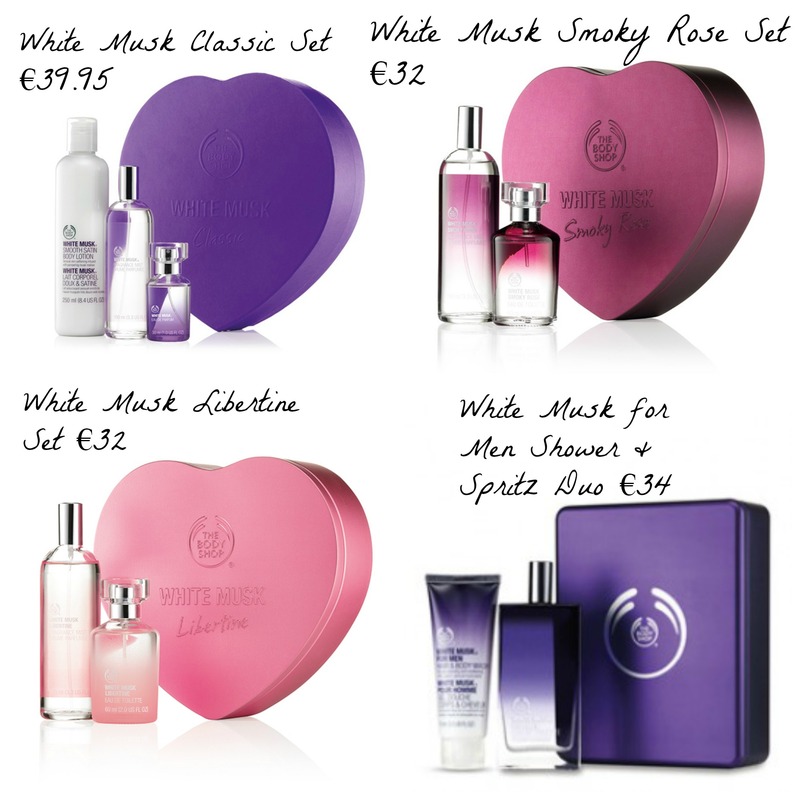 Will you be buying some Christmas Gift Sets from The Body Shop this year? 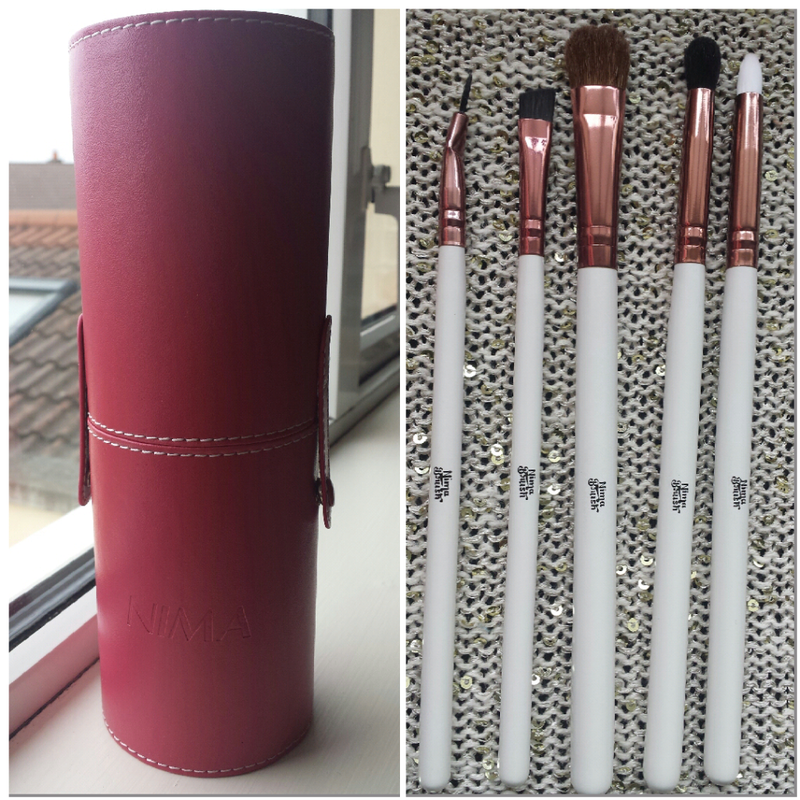 This fab brush set comes from Irish company NIMA Brush which was set up by Makeup Artist Niamh Martin. 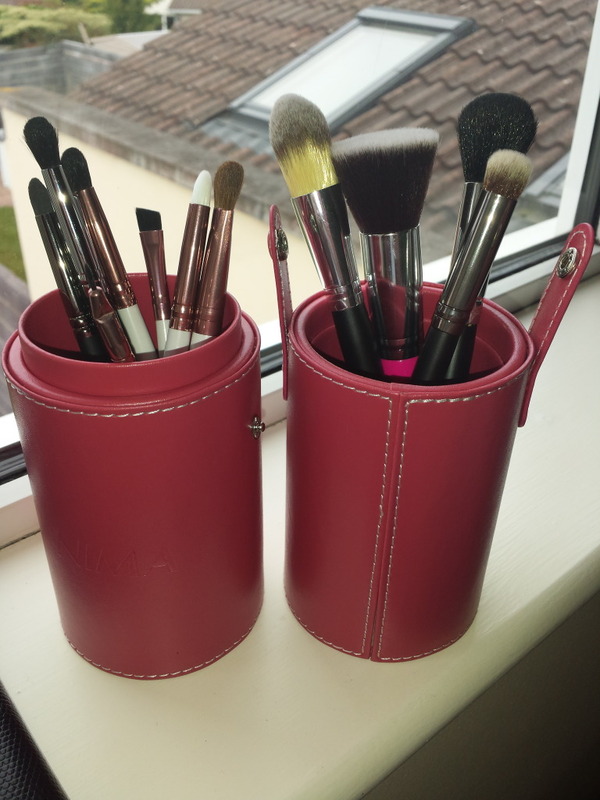 Niamh used her expertise in makeup artistry thorough years of teaching and doing makeup to bring out these amazing sets which come in a brilliant little leather cylinder and can be compared to the hugely popular Sigma brush sets, but at a much better price, as well as quality! 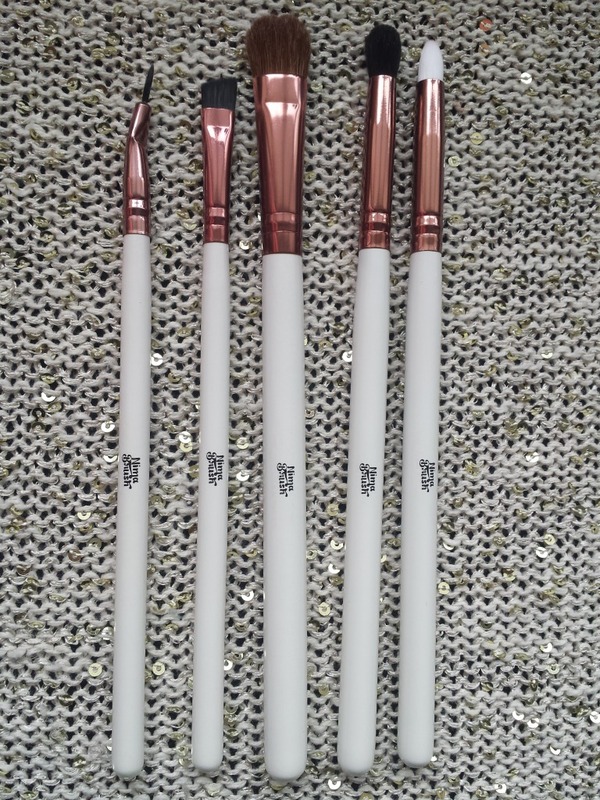 I recently picked up this stunning Elite Eye Detail brush set at the Pro Beauty show. You can also get this on the website as well as other collections such as the Kabuki set or the Duo Fibre set. All sets come with the cool little leather holder which separates to hold your brushes as you work. You can add in your other brushes also and carry them easily when travelling. If you’re a makeup artist, this is a godsend and saves space on your work area, plus, you’ll be more organised as, if you’re anything like me, you won’t suddenly have heart failure when you can’t find the brush you just put down 2 seconds ago among the piles of makeup in front of you! These brushes are all the ones that I would actually use and I found them to be really easy to use and excellent quality. Plus they look really slick and professional with their white wooden handles and rose gold ferules so would be perfect for professional use. 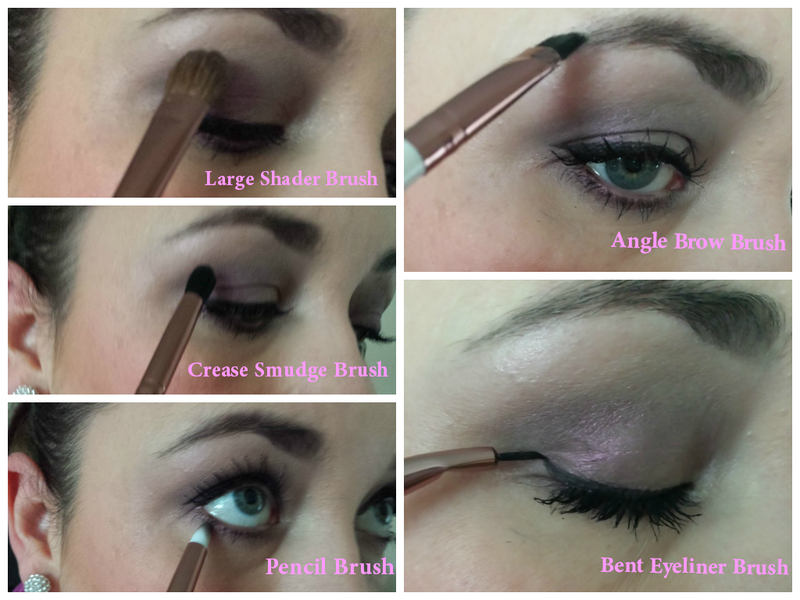 The bent eyeliner brush is one of the best I’ve used for applying Gel liner! They cost €45 on the website and come with the leather holder which comes in a range of bright colours from baby pink to Teal. These would make great presents for any makeup lover and with Christmas coming up I know I’ll be stocking up on a few of them for friends and family!